OK Foods offers a wide variety of chicken products to best serve our customers. When you purchase chicken from OK Foods, you can be confident that you are using high-quality chicken products that meets the taste and preferences of today’s customer. Individually Frozen: Our boneless skinless breasts, tenderloins, drumsticks, wings and thighs are juicy, tender, and ready to cook right out of the freezer. Seasoned: Leave the marinating to us! Our seasoned products add a little something extra to each bite. Fully Cooked: Our fully-cooked chicken products are convenient meals ready to make in minutes. Deli WOGS: We offer a variety of sizes of WOGs, both fresh and frozen, with injection marination capabilities. Individually bagged WOGs are available in retail-ready printed bags. OK Foods also supplies private label chicken to retailers across the country. Our team will work with you in developing products and packaging for your private label needs. Should you need a quality chicken supplier, we’ll work with you to quickly and consistently produce to your specifications and stay as committed to your brand as our own. TenderBird® is the premier brand from OK Foods. Click to learn more about TenderBird Chicken Products®. OK Foods offers innovative and solution-minded products that open new and beneficial food service opportunities to our customers. We value our customers. That means yours success matters to us. With flexible and custom sales programs, we can provide a full line of quality chicken products – all priced at a good value. We provide products to Quick-Service Restaurants, Regional Distributions, and Retail Deli. Operations dedicated to providing 8 Piece Cut-Up, Deli WOGS, and Dark Meat to Quick-Service Restaurants. Ready to Cook products such as Breaded Breast Filets, Tenders/Strips, Nuggets and Wings. Fully Cooked products such as Breaded and Non-Breaded Breast Filets, Tenders/Strips, Nuggets, and Wings. Let us earn your business! We’ll put our experience and expertise to work for you. Ready to do business with OK Foods? Contact our Sales Department at and let’s start talking. At OK Foods, we understand your National Brand requires special attention to detail. We take great pride in providing quality chicken products at a good value with prompt, friendly service focused on one thing – growing your sales. We’ll work with you to provide products to meet your customer demand at a price that fits your budget. Let’s work together to meet and exceed your customer’s expectations and your business growth goals. Accurate and timely export documentation. A variety of packaging options to meet customers’ needs. Multi-language retail-ready 4/10 leg quarter printed bags. OK Foods is proud to supply our chicken to military commissaries throughout the world, offering those serving in the armed forces, and their families, great tasting chicken at a good value. Our Industrial Sales team provides chicken to many food manufacturers for use in their ready-to-serve and canned products. Regardless of the product concept, we’ll strive to provide you the quality chicken you need at a price that fits your budget. 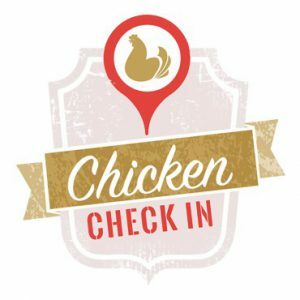 Visit the National Chicken Council’s Chicken Check-In Website to learn more about the processing of chicken in the United States.